Many new possibilities unfold with creative planning, supportive networks, individualized funding and strong connections to community. Rebecca Beayni is a 32 year old woman who is an active communicator (despite the fact she cannot speak), a recognized dancer, painter and an inspiring presenter. Her life’s work is aimed at inviting people to dream of a more compassionate society where everyone’s gifts are recognized and welcome. Rebecca’s story is told through the eyes of three friends, each of whom have a personal relationship with her and unique insights on her incredible life. 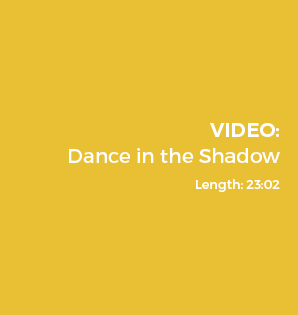 In collaboration with L’Arche Canada, P4P has developed the Dance in the Shadow Educational Teacher’s Guide, complete with video clips and curriculum guides. Topics include diversity, inclusion, equity, tolerance, respect and social responsibility.